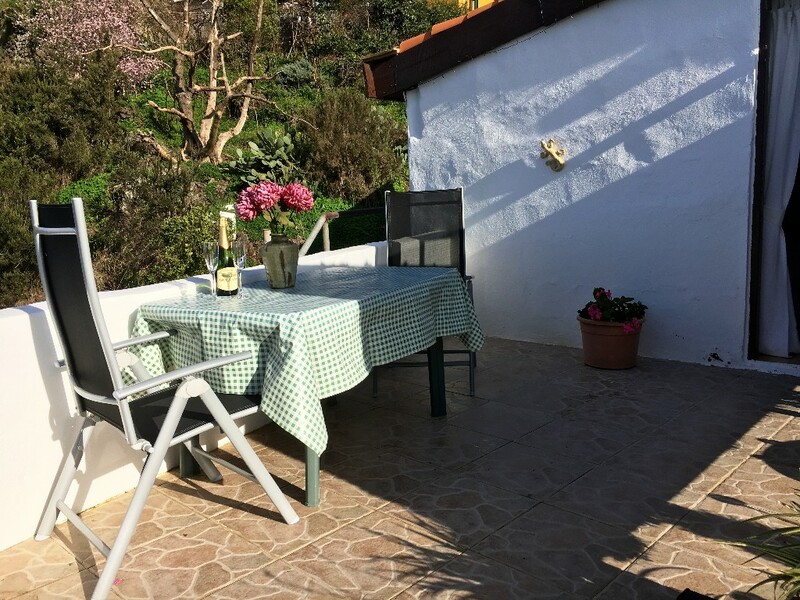 This cottage is also part of our Finca which has been lovingly restored by us. Through the entrance door there is an open plan living room and kitchen. The living room has a settee and armchair, coffee table, satellite television with UK channels, DVD player, CD and radio.